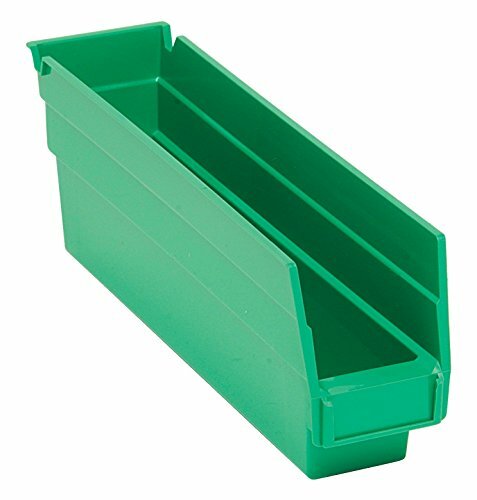 QSB100 Plastic shelf bins are tough and durable, made from injection molded polypropylene material. They feature a molded-in label holder that allows bins to tilt out for complete access when on shelving and a wide hopper front allows complete access to the contents of the bin. These bins are impervious to most chemicals and will last a lifetime and can replace worn out corrugated cardboard bins. They are designed for 12", 18", and 24" deep shelf units, racks or standard shelving and measure 11-5/8" x 2-3/4" x 4 inches.